What if it was possible to make a car out of completely bio-based materials, from the door panels and the steering wheel to the front bumper and the hood? In partnership with Genome Prairie, the University of Manitoba, the University of British Columbia (UBC) and Westward Industries, we are one step closer to making this a reality with the Fibre Composite and Biomatrix (FiCoGEN) project. Funded through Genome Canada’s Genomic Applications Partnership Program (GAPP), this three-year project is developing partially and fully bio-based composite parts for a Westward GO-4 demonstrator vehicle. From optimizing flax fibres and developing a bio-based resin to creating prototype parts, this project is revolutionizing the automotive industry by showcasing the capabilities of natural fibres. 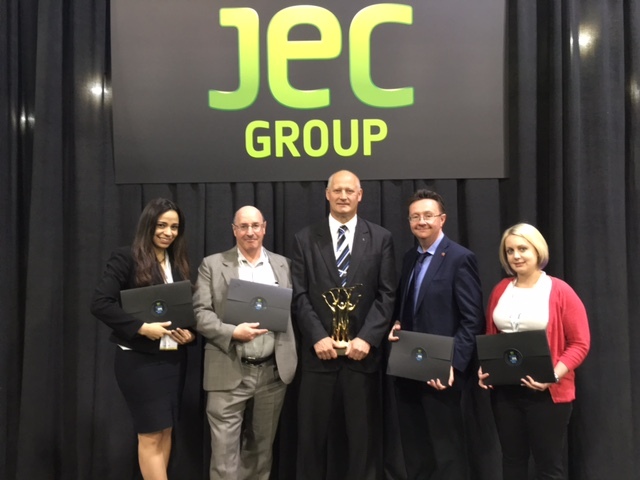 Recognizing the potential impact of this project, the JEC Americas Composites Show & Conference gave Genome Prairie, and the other partners, the 2016 Innovation Award in the Biocomposites category this past May in Atlanta. The Innovation Award Program began in 1998 as a way to recognize excellence in composite innovations. It not only provides recognition, but exposure to the global composites industry. Each partner on this project plays an integral part in its potential for success. UBC is optimizing flax genetics and currently has different varieties growing in plots to determine the best flax fibre for structural applications. Our Testing team will use the equipment in the FibreCITY lab, one of our biomaterials initiatives, to test the quality of the fibres produced. The University of Manitoba is developing different formulations for a bio-based resin and once the best formulation is determined, our Prototyping team will make prototype parts with it and the optimized flax fibres. 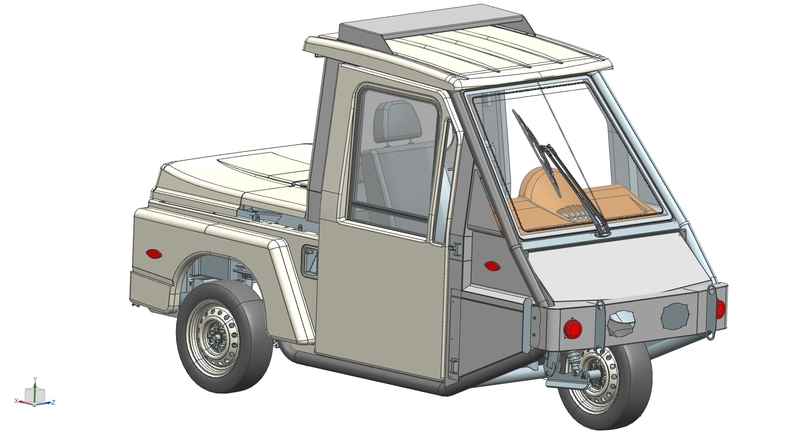 Along with all of this, we are working with Westward industries on their GO-4 vehicle design, which will be the demonstrator vehicle with partially and fully bio-based composite parts in it. Our design team has converted the existing metallic design into a composite design and is currently creating the plugs for the tools, to be completed by the end of 2016. With the increasing demand for green-alternatives in the manufacturing industry, this project not only showcases the capabilities and potential for natural fibres, but the possibility that this technology can be commercialized to replace synthetic materials with an environmentally-friendly option. The manufacturing industry is always striving to make parts lighter, stronger and more cost-effective, and because of this, the demand for high-quality composite components has never been higher. Micro Tool & Machine Ltd. (MTM), a Winnipeg-based custom machinery manufacturer for the electrical transformer industry, is no exception. 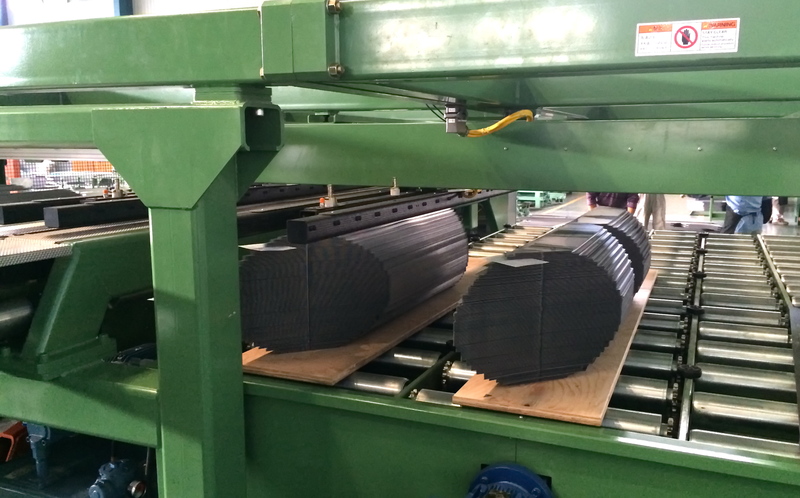 They approached the CIC to do a feasibility project to see if they could replace metallic pick and place arms on an automated cut-to-length and stacking machine with a composite arms. 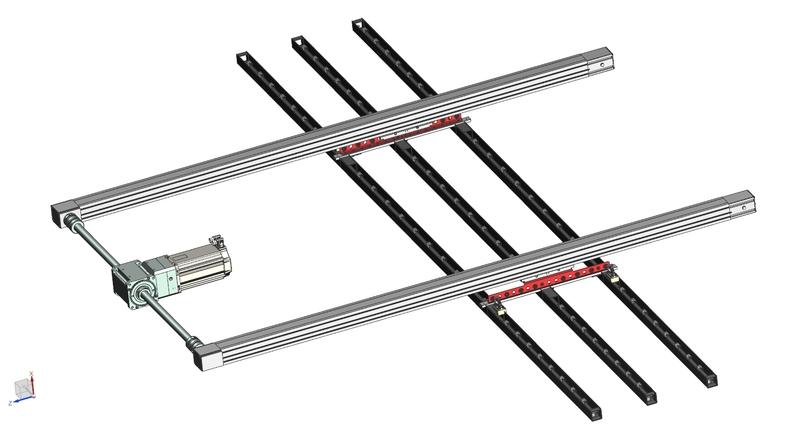 MTM had a requirement to increase the machine’s production from 25 times per cycle to 50 and they had to choose one of two ways to do this: replace the servo motor assembly with an expensive and more powerful one, or, make the machine’s arms lighter so that a smaller servo motor assembly could be used. Our Design team found a composite solution for this challenge. 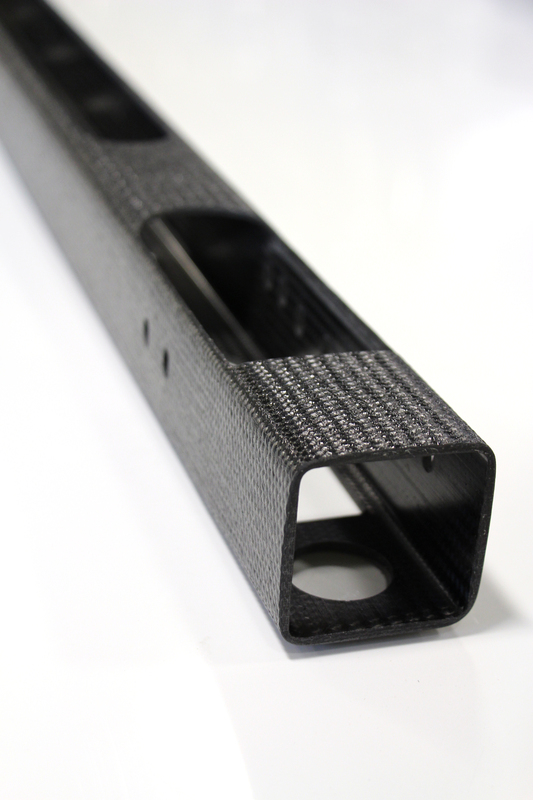 After using CAD software to model the arm design with both metallic and composite materials, we decided to use an off-the-shelf carbon fibre tube that would meet the design requirements. 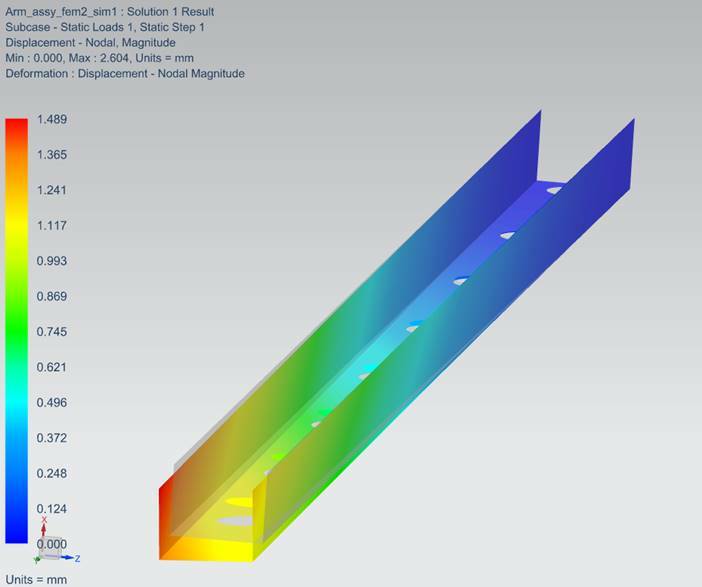 We then completed Finite Element Analysis (FEA) to analyze the existing metallic arms vs. the new carbon fibre arms, confirming the carbon fibre design was significantly stronger, stiffer and offered a weight savings of 50%. Our design team at was able to find a composite solution that was cost-effective while balancing MTM’s production volumes. MTM commercialized the new arms into a 600 mm Automated Cutting and Stacking Line (i.e. XS600-P20) and recently took it to China to showcase its capabilities. Sales of the machine have grown over the last 10 months and are anticipated to continue growing. Prior to working with the CIC, MTM had little to no experience using composites; they are now looking at replacing other parts in their machines with composite materials to find more weight and cost savings.